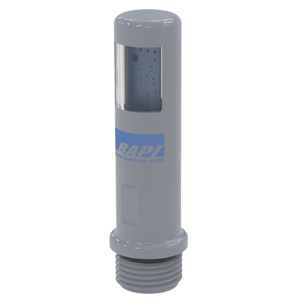 The BAPI Outdoor Light Level Sensor conserves energy by allowing lights to be shut off when the ambient light level exceeds a specified level. The sensor can also help ensure safety by allowing lights to be turned on when the ambient light falls below a specified level. The unit comes in a rugged and watertight UV-inhibited polycarbonate enclosure with an IP66, NEMA 4 rating. The light level range is 0 to 2,000 Lux with a 0 to 10V output.